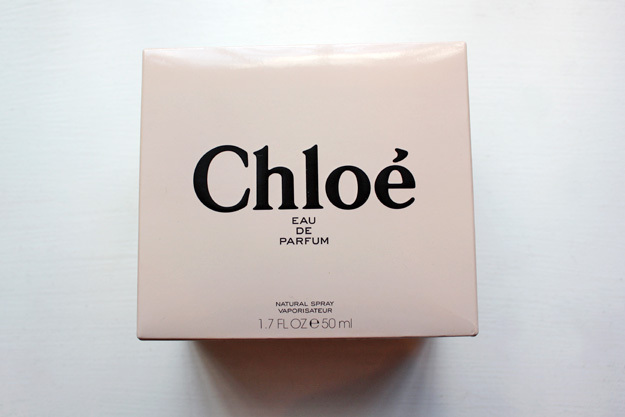 I finally snagged a bottle of Chloé perfume, upgrading from the two mini sample vials I’d gotten from Sephora that I went through at lightening speed. It smells better in the full size bottle, and the packaging just about kills me. It is adorable sitting on my counter, all French and darling with its little bow. I opted to buy from Drugstore.com, since a 1.7fl oz bottle was $75, which is $15 cheaper than Sephora was selling it for, and you get 5% cash back in “Drugstore.com Dollars” for future purchases. I ended up getting $3.75 back, which I’ll probably spend on more lipstick or something. But wait, there’s more! Have any of you used ebates before? They have those commercials where average looking people say things like, “ebates paid me $500 just for shopping online!” Sounds like a total scam, right? But my mom turned me on to the site after vouching for its validity; you sign up, click through their site to get to any online retailer, and then get a percentage of your purchase back in cash. It’s like magic. And with as much online shopping as I do (hi, have we met?) it made sense to join. It’s similar to referral and affiliate links, only you reap all the benefits instead of a middleman. The cash back rate varies from 3%-12%, and all your shopping is still done at the actual retailer, not through ebates. They just assign a tracking ticket to your “click” and then send you a check every 3 months with all the cash back you’ve accumulated. I got my first check at the beginning of August, and it was even further validation for my shopping addiction. So far, I’ve used it for J. Crew, Overstock, Crate & Barrel, Club Monaco, and now Drugstore.com, where I ended up getting 12% cash back on this purchase. So, $9 back. Meaning the perfume really cost me $66. Oh, wait, subtract the $3.75, so we’re down to $62, which is insane. Bargain hunting should be an employable skill. What’s your latest bargain find? I love you. That’s all. And that perfume looks totally sniff-worthy. 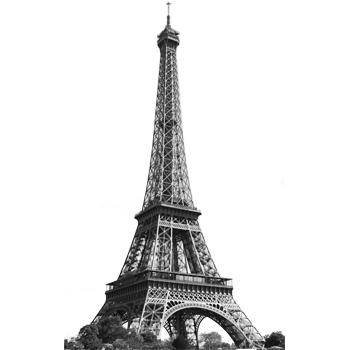 I like the autumn for the crispy fresh air and nice new autumn clothes (and because my birthday is in november) but in Paris the winter is unbearable with the buildings that are not isolated enough. In Sweden it’s tough because of the short days and dark nights. But I like the snow! Hej! Nope, don’t speak Swedish, Google Translator is just really good at its job :) I wish though! It seems like such a fascinating language. It’s my friend’s signature scent, too and I must admit it does smell divine. I love being rewarded for spending money! Not sure if ebates is available on this side of the pond but Liberty’s and Boots do something similar. Ooh, good point, didn’t think to check! I’m sure there’s a similar program available in the UK/Europe. You should look into it! It’s so much fun being paid back for shopping, haha. When you say “not over the counter” perfume, does that mean you make your own essential oil combination? I’d love to know what it is! 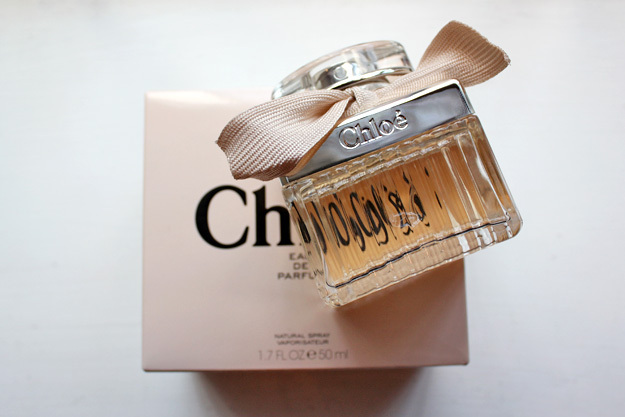 Though I am pretty in love with Chloé. Can’t believe it took me this long to find it! Love this perfume! The silvery bottle top gets a lovely vintage-used-look after a while. Another Chloé fan! I can’t wait to see the vintage-y look you’re talking about. I’ve only had it for a few days and I’m already so in love. Thank you so much! I’ve never been good at sharing, and Gary is no exception ;) Kidding! Thank you for reading! I turned you on to ebates and I DIDN’T get my check. What is up with that? I have to ask: did you include your mailing address? They can’t send you a check if you don’t do that! Now it says November. I re-entered my info just in case. I totally use ebates. Although, I have to say, they missed one or two of my purchases (so now I keep a record of everything I buy through them). I haven’t gotten $500 yet, but I’m working on it ;-) Thanks for the drugstore.com tip and enjoy your new scent! i have heard so many great things about this fragrance but i have yet to try it. the packaging gets me, too. thanks for recommending ebates – i always love a good bargain! Sephora gives out great samples if you want to try it! It’s much more feminine and light than the Burberry men’s scent you’ve been using, but I just love it. Well, after many hours of a spinning color wheel on my Mac, I’m back. You are an insanely great bargain shopper! I want to get bargains. I suppose my best bet is to sign up for ebates. Wait, is this a sponsored post? :) The shots you took of your new perfume are gorgeous, as good as any glossy advert. PS~I got so excited about your photos that I failed to answer your question. 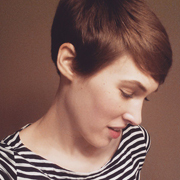 Best bargain find recently: baseball tee shirt from Madewell. It was on sale with an extra % off. Don’t you love when they do that? I had my eye on the tee shirt for awhile, but didn’t want to pay full price. When I saw it on sale, the clouds parted and sun rays haloed my body. Ok, enough with the melodrama. Hey hey! Wondered where you’d gone, now it makes sense! Sorry about your computer woes, that must be so frustrating. The spinning color wheel is never a good sign! Take that baby to a Mac Genius asap! Haha I wish it was a sponsored post! But I can’t ask for anything more than they’ve already done for me, haha, which has been to make the dent in my wallet a little lighter. But definitely think about using ebates, it’s a no-lose situation. Thank you so much for saying that about my photos! You’re so sweet, girl. I had a $10 off a purchase over $40 code for drugstore.com, I wish I could have given it to you so you could have gotten that perfume for even less. Although, I think that ebates won’t give you cashback if you use a promotional code, at least not for drugstore.com.